Wildfire suppression has changed the state of our forest health and created the need to remove excess trees which may have otherwise been naturally thinned through fire. 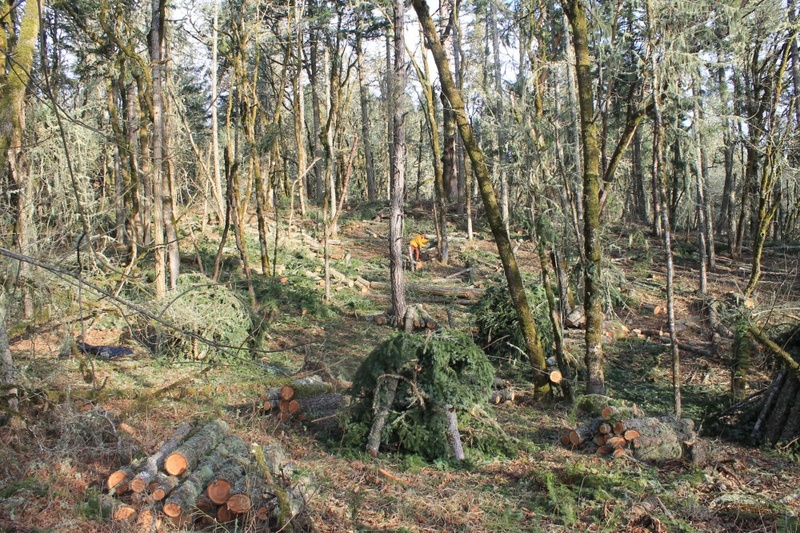 IRM supports conservation based thinning and managing forestlands to protect old-growth, expand habitat for threatened species and provide timber and jobs for local economies. Restoration thinning provides a safe, effective means to restore forest and prairie habitats to their natural states. It is often the best approach on sites that have altered plant communities that will not return to a desired condition through natural processes. IRM has extensive experience in westside plantation thinning and eastside fuel reduction thinning, two entirely different environments, needing site specific thinning methods. IRM can help determine the best timing and approach. Young stands that are growing rapidly are the most responsive to thinning. Once stands reach a certain age trees may not respond as well.IRM can assist forest landowners in considering the short and long term benefits to the environment and the opportunity costs of restoration thinning.